I’m going to say something that will piss off new players but is totally obvious to any real poker player…your poker skills are something you need to constantly work on. You are never done learning in poker and thus your skills can always improve. People aren’t born with a poker skillset….rather they work on it, put in the hours, and eventually turn into great players. If you are serious about improving your poker strategy you need to put in the work, and in this article, I’m going to talk about how to get and keep your skills. Getting better at poker necessitates two things: theory and practice. This means that you need to work on the theory part (with study) and then practice your knowledge (with play). Some players totally ignore the theory part, but the large majority of players simply don’t study enough. As a coach I always suggest that my students work on a 1:1 scale…meaning that they study 1 hour for each hour they play. This forces them to study more, to analyze more of their sessions, and to find their own leaks quicker. Once the student improves they usually begin to get into a 2:1 or 3:1 scale (play:study)…but if you ever find yourself in the 7+:1 scale chances are you being too lazy on your studying. The reason why you begin at something like a 1:1 scale is actually to front-load your learning. At the very least you want to front-load fundamental skills, such as basic poker math, reasons for betting, hand classification, etc. The earlier you can learn these concepts the easier it will be to learn advanced concepts like hand reading, balancing, double barreling, etc. Think about it…how tough would it be to teach a new player about bluff double barreling if they have no concept of hand reading, bet sizes vs. breakeven percentages, or equity? If you are able to learn basic poker concepts quickly it will make your play time and future study time more valuable. You don’t go into war without weapon’s training…so why jump into a poker game without basic knowledge? So keep working on getting better and keep putting in work. Keep analyzing your sessions, analyze your monthly results and trends, and patch leaks as they come up. Some leaks are easy to see by using your poker database and other leaks will take some creativity to find…but you can find them with effort. If you ever get stuck on a concept use the internet and your trusty friend Google. Chances are you’ll be able to find an article or video for free somewhere on the internet…and if not you can likely buy a book, video, or coaching to get the information at a reasonable cost. 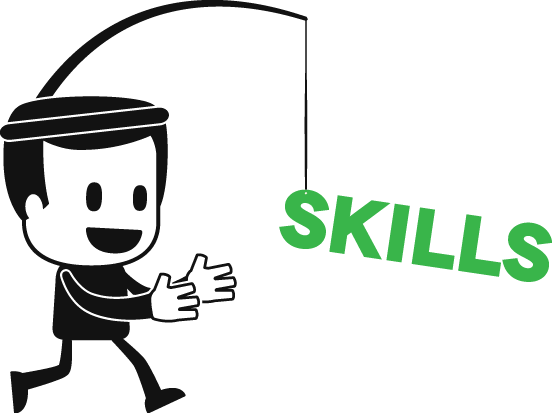 But once you get the skills and knowledge it’s just as vital that you actually keep them. As you play you are forced to use knowledge in real-time. This forces your brain to make request/recall actions which uses the existing knowledge that you have. If you constantly find yourself with no clue what to do during a session, you know you need to get back to studying. In fact, if I ever find myself confused 3 times during the same session I will leave it and go study the confusing situations until I feel confident in my findings. This is my litmus-test of sorts to see how much, and where, work is needed. And by continuing to study (even after my strategy is super strong) I will sharpen and redefine existing knowledge. Such as refining certain default hand ranges, ingraining math frameworks, and creating better counter-strategies that I can then use in real-time.